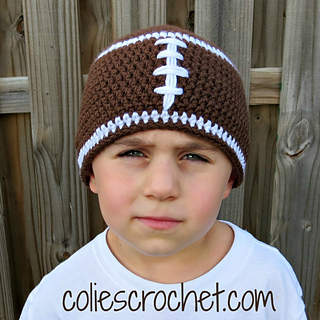 The Football Beanie can be made in traditional colors of brown and white or make it in your favorite team’s colors. 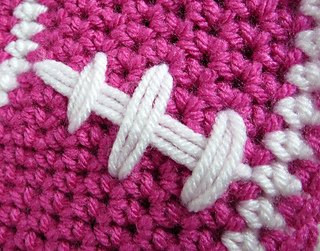 You can add even more color by making the stripes and laces different colors. 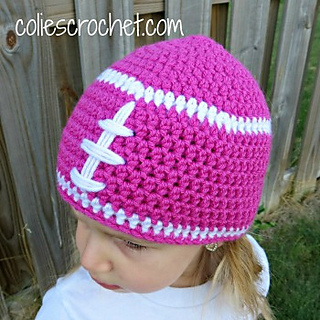 I love this hat for those who love football but want to represent their team without wearing head-to-toe team gear. 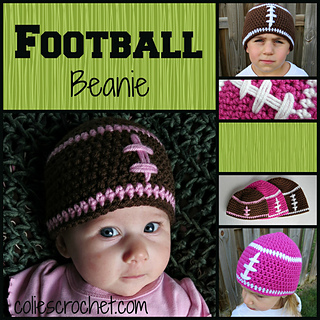 It is a simple beanie that is fast to work up and a warm hat to wear. 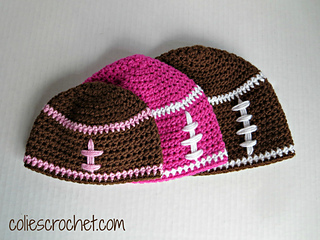 You can also add earflaps and braids to turn it into a fun earflap hat. • Worsted Weight Yarn - I Love This Yarn by Hobby Lobby. Less than 100 grams or 175 yards total for hat. Aran yarn would be an acceptable substitute if you don’t have access to worsted weight yarn. • Always work a gauge swatch first.